Yesterday conditions were perfect on both Kitty Hawk and The Unicorn. Temperatures hovered around -2 all day and zero degrees back at the car at the end of the day. There was no wind. 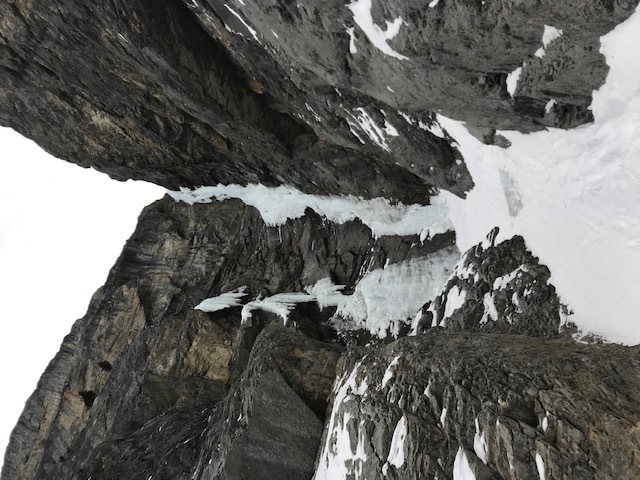 Only a few short sections of ice are showing through the old avalanche debris on the first rambling pitches of Kitty Hawk as you enter the gully. The grade 5 pitch is steep but has good hooks and protects well. 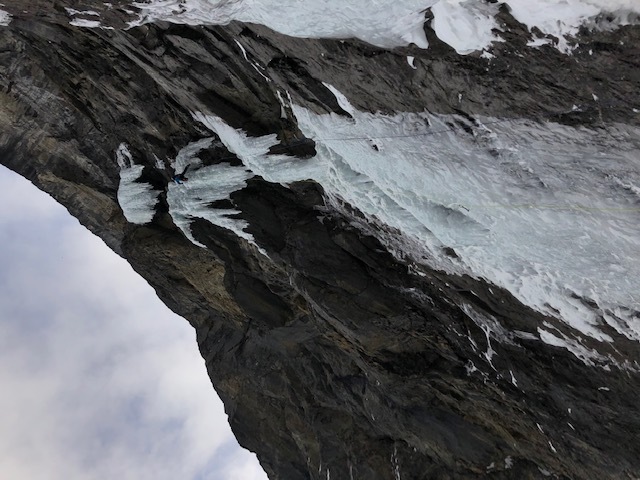 On the first pitch of The Unicorn there are two ice pillars covering the sections of rock which usually protect with rock gear. We were able to protect the entire first pitch well with ice screws. 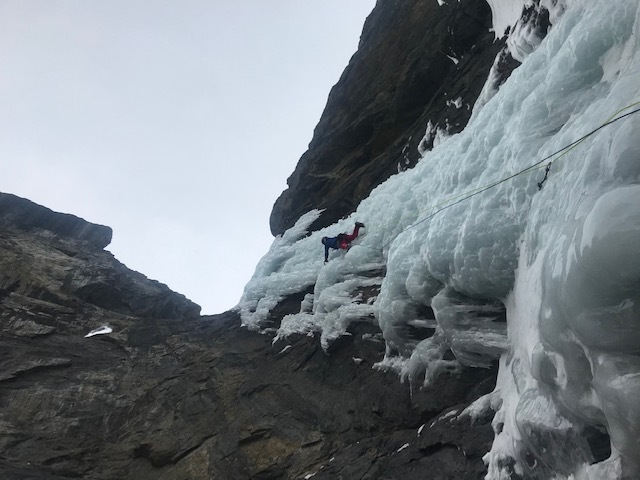 The ice on the second pitch extends high up so beyond the short section of grade five ice there is another 30m or so of grade 4 ice from which we rapelled on an abalakov anchor. Due to a report of a break in and slashed tire at the parking area at the highway earlier this season, we left our vehicle unlocked and left no valuables in the vehicle.